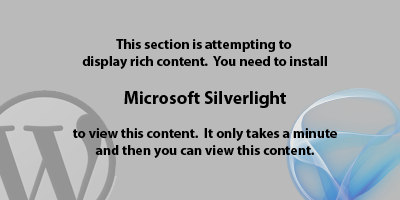 With 4 months lapse since our last Silverlight UK User Group meeting, it was heartening to see that interest has not waned. Thank you for those that attended and supported the group last Thursday! Our presenter of the night, Gill Cleeren made a special trip over from Belgium to break down all the forthcoming Windows 8 platform and what it means to us Silverlight’ers – or should I say XAML’ers. I should mention again that Gill’s trip is very much by courtesy of Telerik who footed his travel expenses and provided a bit of booty by means of a free WPF/Silverlight licence… thank you Telerik! So it was by sheer coincidence that our evening was preceded by the announcement (on 29th Feb) of the Windows 8 Consumer Preview. Unlike the previous Developer Preview, the Consumer Preview is focussed on showcasing Windows 8 to the general public (if they dare!). Early comments on the newswire don’t seem to mention many breaking changes so it appears that it should be a easy enough to switch over to the new version – stability and performance can only improve! The Windows 8 Consumer Preview is available for download in ISO format, but you’ll also have to install the new version of the Visual Studio 11 beta separately. Gill mentioned that he had managed to install Windows 8 in less than 30mins, but nothing’s changed about Visual Studio’s install time, it still takes an age (90mins!). The Silverlight UK User Group has now shifted registration duty over to meetup.com/sluguk in an attempt to reduce the administrative overhead of organising and publicising our events. Previously we’ve used a single email inbox to collate all registrations and this still exists, but as an unfortunate side effect, “hid” members from each other. As a purpose built community site, meetup.com allows everybody in the group more open access to each other and become a central point for information and announcements. Another change is the shift away from the EMC blog site as the place for posting agendas and slide decks. The software employed there is more than 3 years old and provides more frustration rather than flexibility in the way that certain add-ins have been disabled. About 18 months ago I started cross-posting to my personal blog, initially for backup and then, because I have total control over updates, plugins and embedding features – via WordPress. I hope you don’t mind. Please remember to post any feedback about the evening on twitter using our hashtag #SLUGUK, and thanks for all that came along on the night. Slide desks from the evening are below, plus Gill has a supporting blog post too. I normally give a shout out to the other user groups that are running events in the area. At the time of writing, it seems that either we’ve missed a recent event, or they are not announced. Here is a list of the other local user groups that exist in my introductory slide deck. One of the best resources to look at or subscribe to is MSDN Flash. Slides: Silverlight UK User Group Introduction – by Mark Mann. Slides: Windows 8 and WinRT for the XAML developer – by Gill Cleeren. With thanks to Steve Evans, whom helped to put the EMC meeting rooms back in order, Telerik for paying for Gill’s travel expenses plus EMC Consulting for providing venue and beers. The event is geared to please/interest/inform both developers and designers alike, so if you are interested in coming along then please register at our new meetup.com/sluguk website. Joining the group is free (you can even use your Facebook login) and our events are free too (although you will need to RSVP via the website ). I am always on the lookout for presenters for future sessions – whether it be a high or low level coding walk through, a workflow perspective or showcase demo. If you think that you have a topic/presentation that ought to be shared with the community then please contact me via the meetup.com/sluguk/suggestion website and I’ll see if I can get you scheduled in! There was quite a breeze of announcements, chatter and hype following the /BUILD/ conference in September. Replacing the usual PDC event, /BUILD/ heralded the arrival of Windows8 and the new platform framework (Windows Runtime – WinRT) that enables you to target your applications to desktops, tablets and more. The WinRT platform certainly does mean some changes to the development scene, since Silverlight and WPF are consolidated into a new XAML based form rather than separate siblings. Over a number of months many have lamented “the apparent demise of Silverlight”, so armed with the announcements from /BUILD/, I presented my own personal opinion to this, as part of the introduction/briefing to the evening – check out the slides below, although I’m contemplating putting my discussion down in a post soon. Derek Lakin from Pixel Lab gave us a tour of Windows8, plus a first look demo at migrating an application to the WinRT platform. For many, it was our first look at the Samsung Series 7 700T tablet in the flesh since this was one of the giveaways at /BUILD/. With Derek demo’ing directly off the tablet it was evident to see that where Windows7 brought touch-ability to the market, Windows8 will bring a touch-first experience to the masses. If there was ever a repeated term throughout the evening, it was the same one at /BUILD/… “Developer Preview” basically because all this lovely Windows8 stuff is still in preview, despite it appearing to behave like a second wave beta. Slide desks from the evening are below, plus Derek has a supporting blog post too. I normally give a shout out to the other user groups that are running events in the area, so here is an excerpt of those I put into my introductory slides at the start of the evening. Slides: /build/ round-up – intro to win8 – by Derek Lakin. With thanks to the cleanup crew that helped to put the EMC meeting rooms back in order — Paul Stancer, Tony Scott, Matt Lacey plus EMC Consulting for providing venue and beers. The event is geared to please/interest/inform both developers and designers alike, so if you are interested in coming along then please contact either myself or Michelle Flynn (here) and we will be glad to add you to our events mailing list. We are always on the lookout for presenters for future sessions – whether it be a high or low level coding walk through, a workflow perspective or showcase demo. If you think that you have a topic/presentation that ought to be shared with the community then please contact me (here) and I’ll see if I can get you scheduled in!